Grapes: 85% Sangiovese 15% Canaiolo and other red complementary varieties. Vinification: The grapes were destemmed, lightly crushed and pressed. After decantation at low temperature (10°C), the must, separated the skin, was racked; and alcoholic fermentation then took place at a temperature not exceeding 15°C. The wine was racked again, stored for a short period in stainless steel tanks at a temperature of 10°C (to preserve its characteristic aromas), and then bottled. 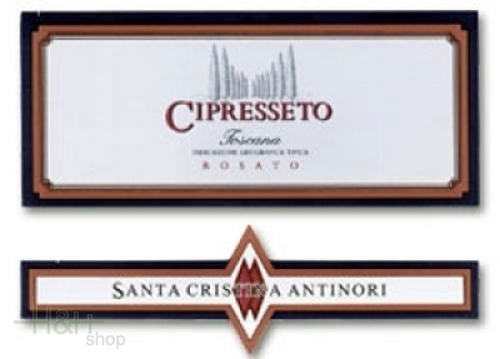 History: With the 1998 vintage, the wine is given the name 'Cipresseto' which means 'Cyprus grove'. Previously it was called Rosé Antinori which has been part of the portfolio for many years and was one of the first rosé wines Tuscany to be produced. 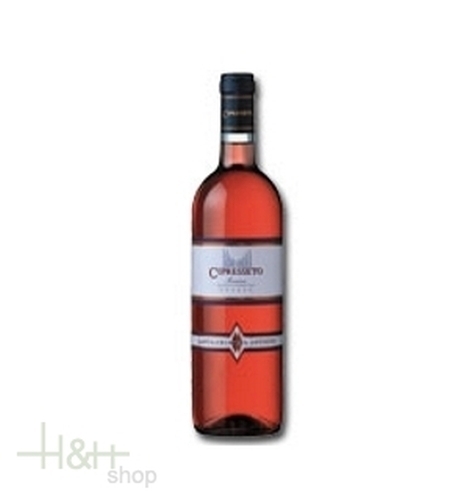 Taste: Rose colored with reflects of plums and fruity aromas. On the palate soft and pleasing balanced, with a good lenght and acidity.